that I was watching a spoof on sports movies. I will not bog down this review with the plot to this movie. If you have seen ANY sports movie then you know what is going to happen. What I will tell you is that there is one good thing about this movie and that is Christian Bale. Bale plays the older brother to the main character and like every other role he plays, Bale nails this one. You really feel for Bale's character, who is a crackhead and a former boxer whose time has past. There is an HBO documentary crew following Bale, for what he believes is a documentary about his return to boxing. In the movie's best scene, we see Bale, who is in jail, watching the documentary for the first time. He is horrified to see that the crew was following him because of his crack addiction. The fact that this is the only great scene in the movie is a blow to the filmmakers, who believe that they have made a good movie. They have not. Their first failure was focusing on the wrong character. I could care less about the Mark Wahlberg character. I have seen his rises and falls in countless other boxing movies. The focus of the movie should have been the Bale character. Sure we have seen crackheads before in movies, but Bale makes all the more real. The second mistake that the filmmakers make is the character of Micky Ward. Wahlberg plays him as slightly dumb and simple. This worked for Rocky and Raging Bull, but it does not work here. 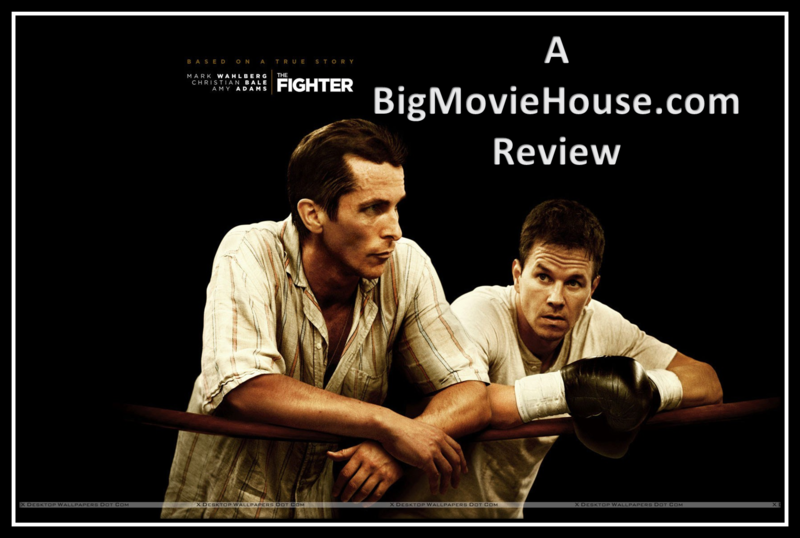 If they had made the character smart and aware then maybe the movie would have worked because the filmmakers would have been giving us something that we have seldom seen in a boxing movie. 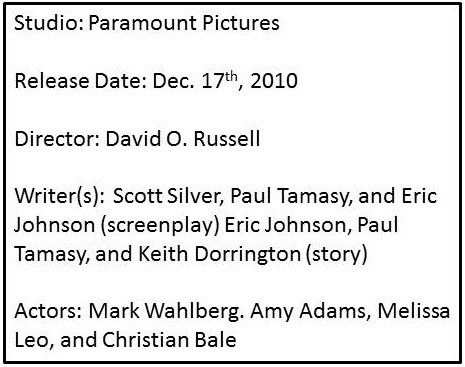 The third and biggest mistake that the filmmakers make is in the cast of Mark Wahlberg. Wahlberg is a horrible actor who has blinded people to his failings as an actor. The man's range is very limited and is not right for this role. 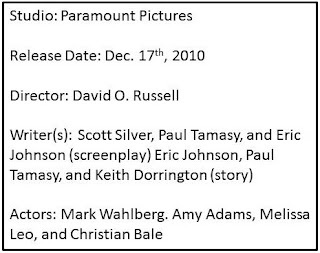 Director's need to stop putting Wahlberg into movies. As you can tell, I hated The Fighter. The movie is boring and moves at a snail's pace. Every critic out there seems to be in love with this movie, but I think it is one of the worst movies of 2010. Do yourself a favor: stay at home and rent any other boxing movie. You will thank me later.